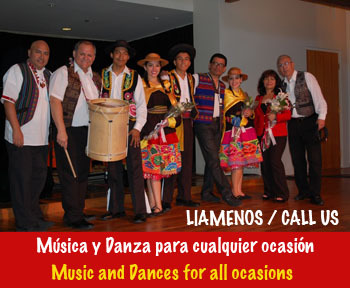 Centro Cultural Raíces Peruanas de Los Angeles California is a non-profit cultural institution founded in Los Angeles, California in 1989. Its membership is comprised of students and young professionals whose main goal is to continue developing and disseminating the arts through music and dance. 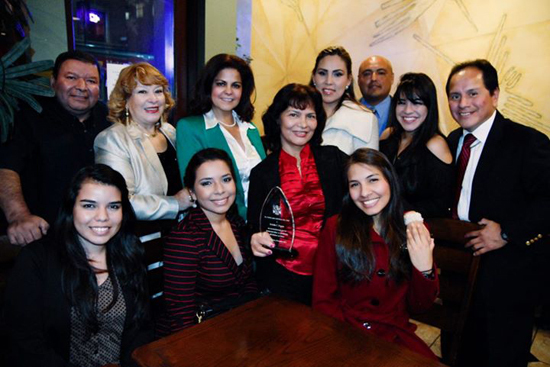 Raíces Peruanas is formed of a group of over 20 members, some native of Peru’s different regions and others USA born - Peruvian descent, thus forming unique groups of true messengers and disseminators of their own ethnic background, making Raíces Peruanas a rich blend of Peruvian culture and tradition. 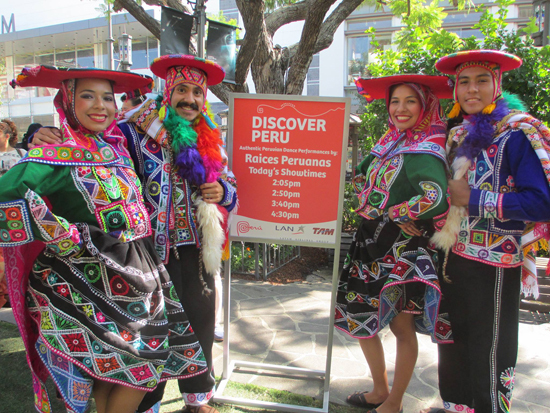 Raíces Peruanas is an objectively-geared effort and contribution to the strengthening of our identity as Peruvians living in a foreign, far-away land. Raíces Peruanas is based in preserving tradition and in the cultural millennia legacy that continues living on and constitutes our TRUE CULTURE. Raíces Peruanas is currently formed by a cast of renowned musicians and dancers, masters of unique and diverse music, dance, and movement which during each of their performances, strike the audience with a new sense of beauty and the realization of a new reality never before seen. Click here to see the Raices Peruanas Machupicchu poster! En un evento muy significativo para nuestra organización, el Consulado Peruano en Los Angeles otorgó un reconocimiento especial al grupo de danzas folklóricas Raíces Peruanas, por su destacada labor en promover el folklore Peruano en el Sur de California.